This year the eight towns and municipalities of Iwate Prefecture have each chosen their best “hospitality menu” as part of the “Iwate national polity” program. In Shizukuishi town, where Kyukamura Iwate-Amiharionsen is situated, the Shizukuishi soup curry cooked by only six restaurants in town since 2013 was chosen as “hospitality menu”. 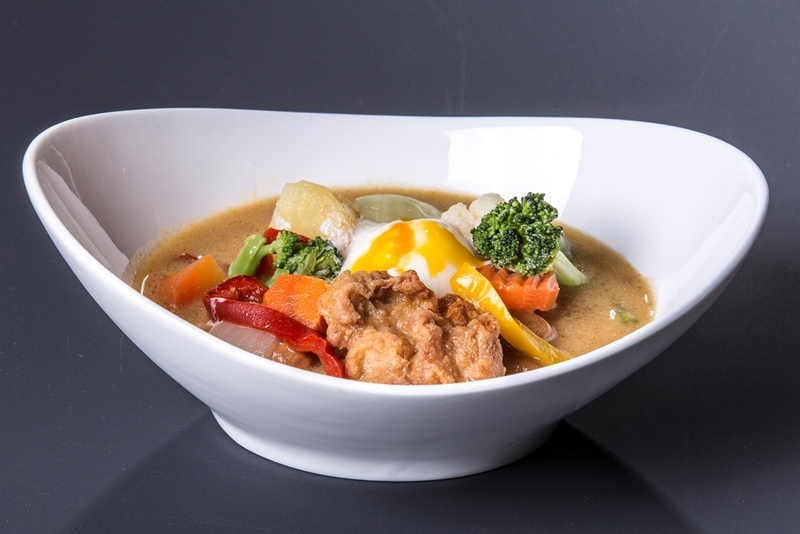 The soup base of the curry creation is made of delicious local chicken from the southern part of Shizukuishi. At Kyukamura hotel local minced chicken and vegetables from Shizukuishi make up the delicate topping of the carefully spiced soup. We will be happy, if you try this rare signature dish that is the pride of Shizukuishi town, during lunch at Kyukamura Iwate-Amiharionsen. The Shizukuishi soup curry costs 1130 Yen. The restaurant of Kyukamura Iwate-Amiharionsen is open for lunch every day from 11:30am to 3:00pm.